DIRECTLY AVAILABLE FOR FAST DELIVERY! 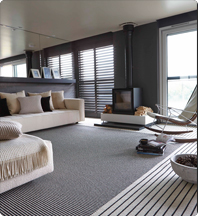 At Carpetright we have hundreds of floors directly available for you from stock. Buy today and take away! It saves you the trouble of having to wait before you receive your dreamfloor. We can even help you load your car. If you choose a floor from one of our sample ranges, we can assure you that your floor will be delivered to your home within 14 days. Unable to take away your floor? Our professional delivery service will deliver to your room of choice. Please ask our professionals for a personal estimate.